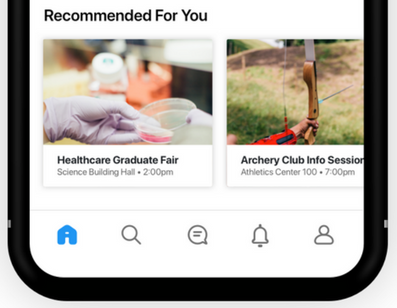 Unlike previous generations, today’s students expect a higher education experience tailored to them, and their expectation for a campus app is no different. With this in mind, Ready Education has been hard at work combining the best parts of the OOHLALA and DubLabs platforms into one, hyper-personalized mobile app. 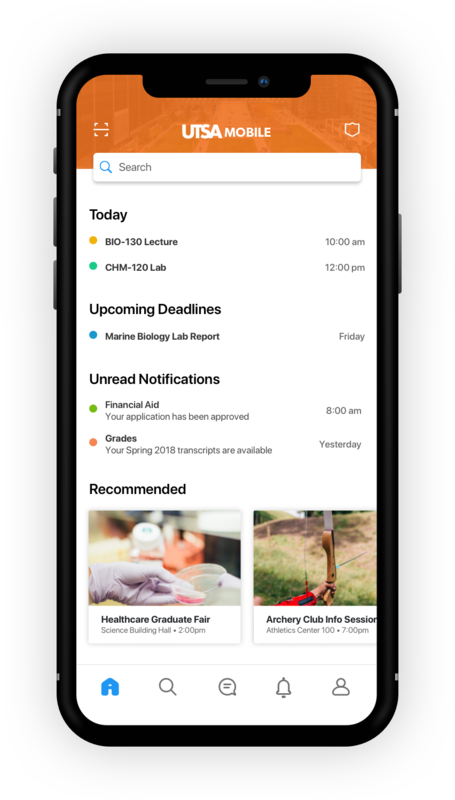 We're excited to announce that we've developed the new Ready Home, aimed at consolidating student-needs into one, convenient home-screen. Divided into 5 key segments, students no longer need to sift through layers of irrelevant information to get to what they are looking for. First we have the the search bar. Studies have shown that Gen-Z students have an 8 second filter, meaning that if they don’t find what they are looking for in 8 seconds, they will move on. For this reason, we thought that it was crucial to make the search bar the first thing students see when they open the app. Next we have the student’s daily calendar. As previously mentioned, today’s students are busy, and with the cost of tuition ever-increasing, many students work either part-time or full-time while attending college. In order to keep up with their busy schedules, we’ve made it easy for students to see what engagements they have that day. After the calendar, the Ready Education team thought it was important to include the students’ upcoming deadlines. However, this section of Ready Home is not only for homework deadlines; students can also see important financial aid submission deadlines, graduation application deadlines, etc. To help students keep up with campus life, we’ve also included a “New Notifications” section to notify students of important alerts. Whether it be the status of their financial aid application, the status of their grades, or simply event reminders, to name a few, students will always be kept up to date with the most relevant information pertaining to them on campus. Finally, we have the “Recommended for You” section. Keeping with the theme of hyper-personalization, the Ready platform will surface events, clubs, services, etc. to students based on their previous habits and interests. For example, a first year English student who regularly attends poetry night will be recommended different events than a final year Engineering student who is a member of the swim team. The new Ready Home was built with both students and admins in mind, and aims to make the higher ed experience as pragmatic as possible for everyone involved.